Cucumber is one of the widely cultivated vegetable in the world, its related to both squash and melon families, is technically a fruit. It’s actually 90% water, but still provides you many precious health benefits. If you have extra cucumbers, this summer, we recommend not letting them go to waste, as you can freeze the cucumbers and preserve them for the winters and share with your family, friends and loved ones. There are lots of traditional methods which people use to freeze cucumber and fail to retain their texture and deliciousness. Editor’s Recommendation: If you have got extra tomatoes, then check out these easiest and coolest ways to preserve Tomatoes to use them later. Keeping this thing in mind, we intend to share possible ways for freezing cucumbers and use them later as a delicious addition to a salad, yummy smoothies, pickles and more. But first, start with freezing cucumbers. 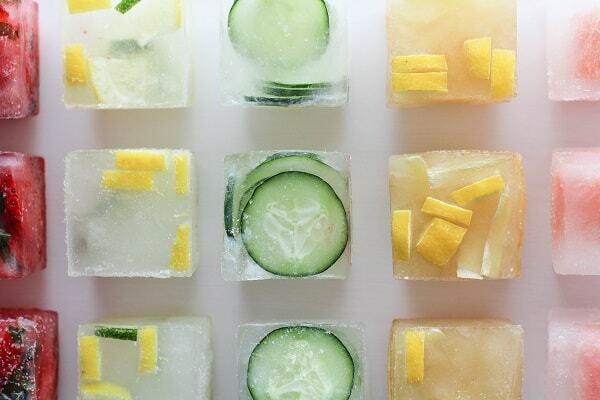 You can freeze cucumber by throwing them in the freezer. They will get ice on them, simply put them in air tight container, glass jar or a bag. If defrost them and they will pure soggy. You can follow the steps for freezing cucumber in the right manner. Get organic Cucumber 1-2 inches in diameter and 4-6 inches in length. Wash and remove wax them. You can use detergent to remove wax from inorganic cucumbers. Peel the Cucumbers. Make sure to cut them into thin slices using a knife or food processor. Take a large bowl, put cucumbers with chopped onions, add 2 tablespoons of salt and mix them. Wait for 2 hours and wash well with cold water, drain the water and return back to another clean bowl. To the bowl, add 2/3 cup of oil, vinegar, sugar (each) and 1 teaspoon of celery seeds. 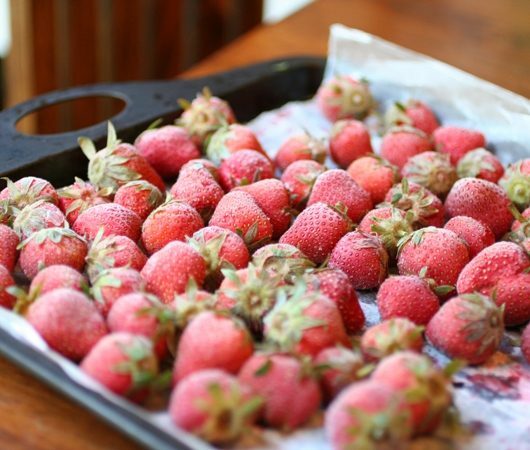 Mix well, cover them and refrigerate for a whole night. Pack the above cucumber mixture in the salty water (brine) in airtight glass jars or plastic containers, leaving about 1 inch of head space. Freeze it. Wait for at least one week before defrosting and eating. This is the best way to freeze cucumber. 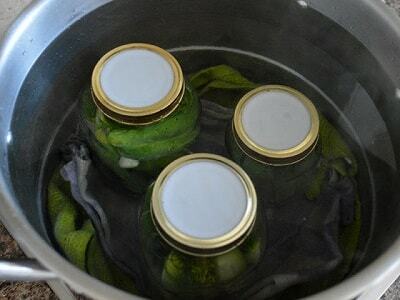 The Cucumber preserved using bring method will last several months in the freezer without losing its texture and deliciousness. You just need to throw all the ingredients in, mingle until it gets smooth. 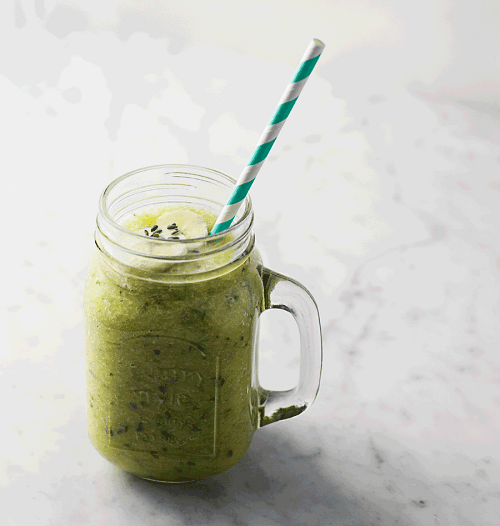 Your smoothie is ready! Add 3 cups of water and through all ingredients in and blend until smooth. It will make two 16 ounce smoothies and that will keep you full for hours. Add all the ingredients into Blender, Peel the lemon, and blend until smooth. 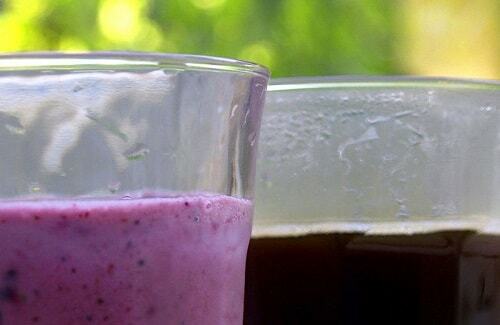 Add all the ingredients into the blender, and blend until you will get a smooth and delicious smoothie. 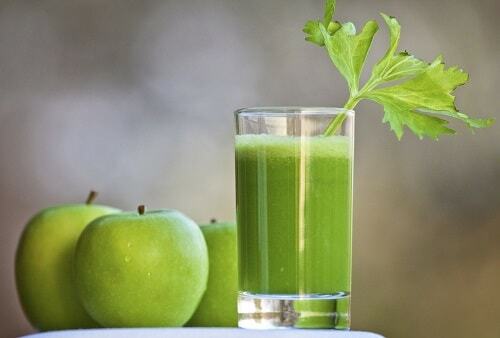 You need to juice the apple and cucumber in a juicer. After that, squeeze fresh lime into it and juice is ready to drink. Chop Apple into 1/4s and remove the core. Use 3-4 pieces of cucumber. 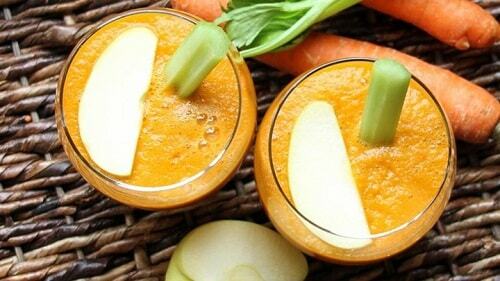 The juicing order is 1 apple, 2 carrots, few pieces of ginger, a piece of cucumber. Once done, refrigerate it and enjoy the juice. Just wash all the ingredients. Peel Pineapple, and Lemon. 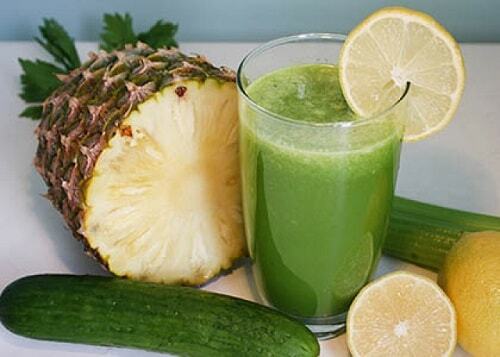 Now add all the ingredients to the juicer, mix it and enjoy your healthy juice that helps you to lose weight. Before serving, stir the mixture. You need to combine cucumbers and salts in a bowl. Cover and chill for 1½ hours. After that, you need to transfer cucumber into a colander and wash under cold water. After draining it completely, return the cucumber back into the bowl. Add onions to the bowl and toss with the cucumbers. Now combine white vinegar, granulated sugar, apple cider vinegar, mustard seeds, brown sugar, ground turmeric, and celery seeds in a saucepan. Now heat the ingredients over medium heat and stir until all the sugar dissolved. Add hot vinegar mixture over cucumber mixture. Keep the mixture for 1 hour at room temperature. Cover and refrigerate the mixture 24 hours. 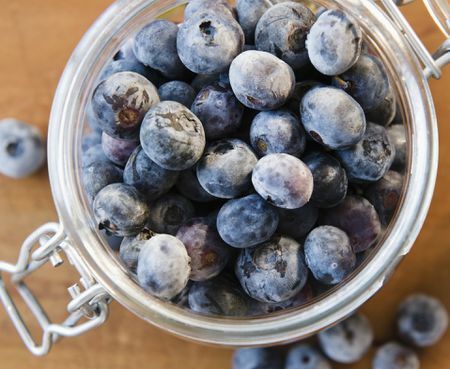 Store all the mixture into an airtight plastic bowl or container in refrigerator up to 2 weeks. Day One: Peel the cucumbers and cut into 1/4 slices. Now add 3 or 4 cups of lime in large bowl and stir. Try to use ceramic or glass bowl. Let the ingredients stand for 24 hours. Day Two: Drain the cucumber and rinse them properly to remove the lime solution. Now again add cold water and add ice to it. Repeat this process again and again after every 3 hours. You need to remove all the lime solution from the Cucumber. Day Three: In a large bowl, add 1 tablespoon red food coloring, 1 cup of white vinegar. After that add 3 or 4 cups of water and stir. Add cucumber into the water and add more water. Now bring the water to a simmer for 2 hours. Make sure that water doesn’t evaporate, as it can burn the cucumbers. Sidewise, make the Red Hot Cinnamon syrup by mixing 2 cups of water, 2 cups of white vinegar, 1 tablespoon salt, 7 cups white sugar, and 2 packages of Red Hot cinnamon candies. Heat to simmer and stir until all the ingredients are dissolved completely. Day Four: In the morning heat the Red Hot Cinnamon syrup and cucumber mixture to a simmer. Now put the mixture into a canning jar with leaving 1/4 head space open. At last, add the stick of Cinnamon into each jar and cap the sterilized canning lid. 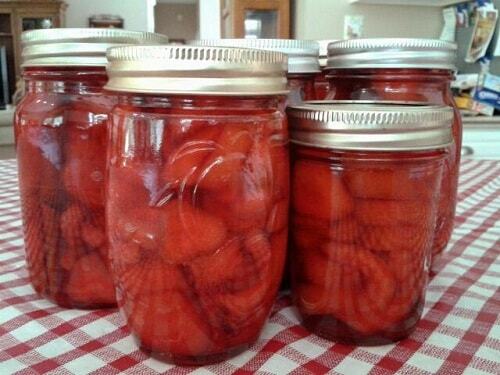 Sterilize your Jars and keep them in the cool air before adding ingredients into them. 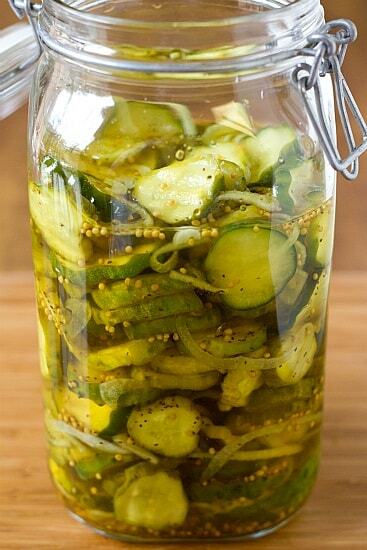 Wash the Cucumbers and start adding them into the jars. For each quart of pickles, you need to add two whole garlic cloves, half tablespoon peppercorns and lots of dill. Screw the lids on the jar. Make sure the lid is not so loose, otherwise, the content of the jar will leak out. Place the towel or metal, preserving rack at the bottom of the pan and place the jar inside. Cover that, jar with hot water and boil for 15 minutes. After that, take out the jar of the water. Allow the jars to cool. 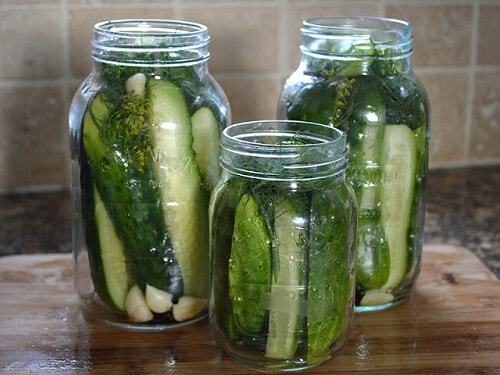 Allow the brine to mix with ingredients in the jars for at least 2 weeks before start eating it. The good thing about this pickle is that it can be used for 2 years if you keep the jar in cool place. In the saucepan, you need to heat oil over medium-high heat. Add onion and garlic, stir, until 2-4 minutes. Add lemon juice and cook for one minute. Add 3 or 4 cups of cucumber slices, salt, broth, cayenne, pepper and bring to a simmer. Reduce the heat and stir gently until cucumber gets soft. 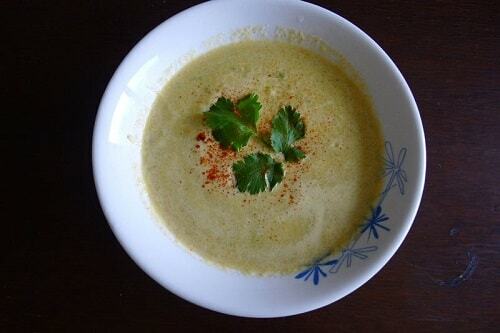 Transfer the soup to a blender. Add parsley and avocado and blend until smooth. 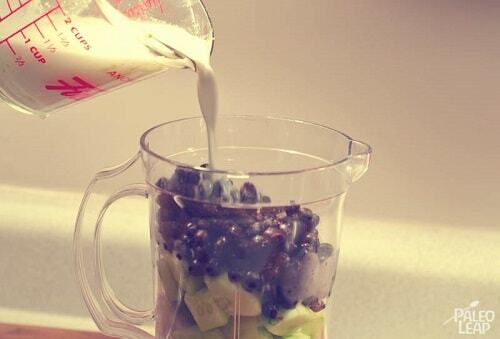 Pour into serving bowl and stir in yogurt. Chop the 1/4 cup remaining cucumber slices. Serve the Soup. 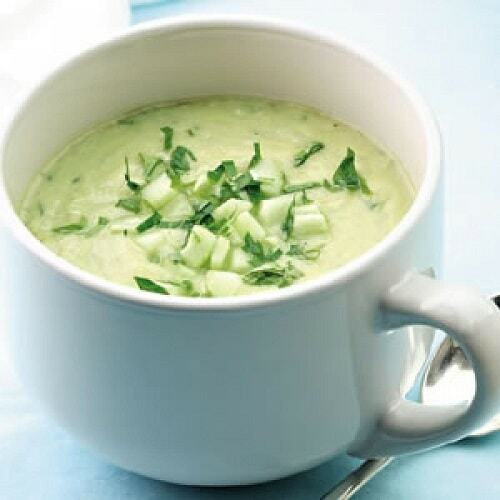 Don’t forget to garnish the soup with chopped cucumber and parsley. 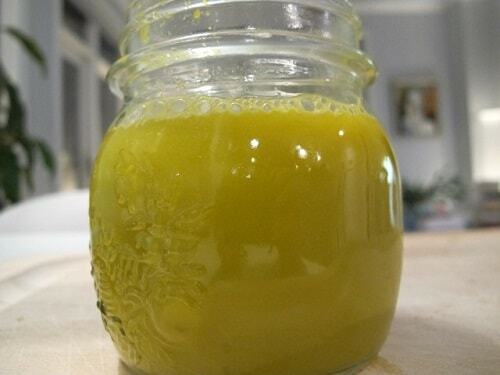 There are plenty of Detox Soup Recipes are available for weight loss and all but this one is my favorite. Grate the onion and cucumber, toss them in the soup pot. Add one cup of the water and boil it for ten minutes. After that move it to a blender or food processor and mash it. At the port and add 4 cups of milk. Sprinkle the flour into the pot and stir to avoid lumps. After that add green pepper, paprika, salt, and EVOO. Editor’s Suggestion: If you’re wondering to grow radishes? Check out our detailed guide on how to grow radishes. Now it’s your turn to freeze the cucumber and use them in different juice, smoothies, soup and cucumber pickle recipes. You can also share your frozen cucumber recipe other than discussed above in the comments.